Imagine this: Two women who are looking for a broader vision to their life’s work, and a one-year program that has never been offered before. Well these two things came together for the entire 2011 year. Tina Badurina of Columbus Ohio and Christine Rouch of Springfield Ohio participated and completed the requirements for full certification in Off the Beaten Path Intuitive Art’s Program for Professional Psychic/Mediums. The program was implemented and facilitated by Reverend Melissa Leath, and structured around her latest book, Psychic Integrity, The Respected Practice of Modern-Day Mystics (Balboa Press, division of Hay House Publishing). 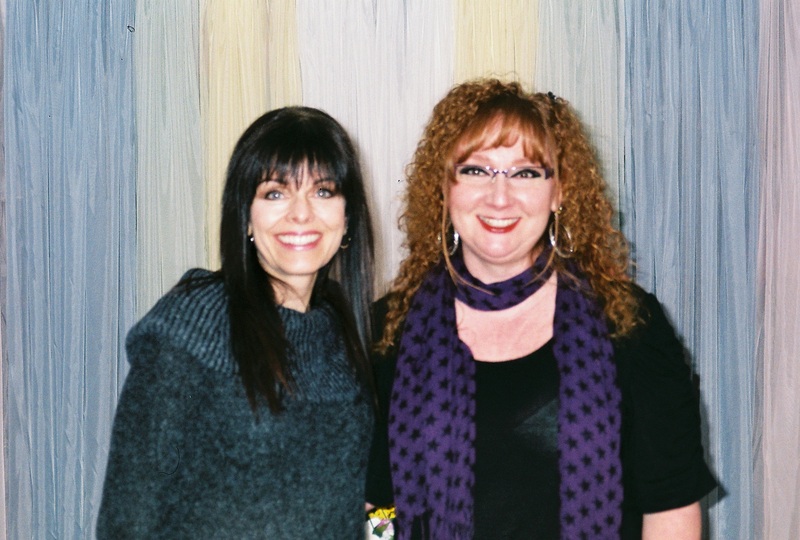 The Professional Psychic Certification Program premiered in April 2011 and successfully completed February 11, 2012. The preparation of the program was in the making for three years as Leath pulled over 30 years of experience into four levels of study: (1) Spiritual Awakening, covering grounding and foundational concepts, development meditation, and self-exploration; (2) Psychic Awareness, understanding earth vibrations, energy exercises, working with auras and energy fields; (3) Mental Mediumship, direct vibrational messages, public presentation and polishing, getting ready for responsibility and gallery demonstration; and, (4) Professional Psychic-Medium, understanding and incorporating your gift into service, creating your own reality, living your spiritual understanding, and preparing for professional work with the public. The program included not only four workshops throughout the year, but also had mandatory accumulation of student study points. This was in the form of volunteer outreach in the field of metaphysics, verifyable attendance in other classes and workshops with reports, research and essays, critiques of other practitioners and experiences, practice readings, and notes on meditations. The year was full of purposeful study, so it was a specific plan of work in the spiritual and metaphysical fields. Tina Badurina comes from a corporate background with a high level of intuitive abilities and a strong desire to serve people in vibrational and emotional healing of all types. She is a second degree Reiki practitioner, has taken numerous classes and workshops on intuition and self-empowerment, and added strength to the program that kept integrity and love vibrating throughout. Christine Rouch also comes from a business background and has been gifted with psychic abilities since childhood. She is a Reiki Master Teacher, has been sharing her psychic abilities and teaching the public for some time. She brought an excitement and wonder to the program that allowed us to always be vibrant. Do you need a medium or psychic? A medium offers communication from spirit; a psychic attunes to and interprets the energy field of the sitter. More money doesn’t necessarily mean better information. Service offered by a good reader is invaluable; expect to pay a reasonable rate. No medium can promise communciation from a particular spirit loved one. If conditions are right and the medium is suitable for your loved-ones to link with, then, very likely, you will get what you hope to recieve. Predictions: What you do tomorrow is being planned spiritually today. The energy of that plan is in the aura; but the future is not etched in stone. Maintain your own power. Spirit loved-ones wish to communicate to let you know they are OK and that there is life after death. Then, to guide and inspire, not to tell you about career, romance, and finances. Know when to stop. Just as there is addiction to alcohol and gambling, consulting a reader can cause dependency and obsession. Also, if the reader is suggesting you come back weekly, know that there is something else going on. There could not possibly ber more to cover in a week’s time. A good reading can be a very beneficial thing and should assist you through any concerns in your life and possible future endeavors. It should cover at least a six-month period, if not a year. Everything in the world radiates to a frequency particular to itself. If you calm yourself, and pay attention to even the slightest whisp of vibration emanating from an object, you are connecting with its energy field. Energy cannot be seen like a solid object, but it most certainly can be felt. I don’t mean that you can take your hand and tactily feel the texture, or pressure of it. I mean you can recieve an impression, or recognize the vibration in some way. As you relax your attention, and rest your mind, you will begin to percieve a vague sensation like a memory of somekind. This is tapping into the energy field of an object, person or place. The energy field around it is also an aura, full of the “subtle” recognition of what it truly is. So you don’t always recieve the impression in a loud, or third demensional way, but subtly. This is the beginning of psychic development and can be expanded as practiced. Try this short exercise with an open mind. Allow your mouth to open and say something. By opening your mouth and speaking, you complete the flow of energy so the information can stream through you. The longer you wait to speak, the harder it will be to receive any information. You may hear words, or see colors, or feel something. Whatever it is, just speak it. The flow begins to move through you and more information is received. Take your time when working with subtle energy. Honor it if there does not seem to be anything coming to you. Just close the session and try again another time. As you continue to use this exercise, you will begin to recognize the energies easier. You will start to feel energy around other things. A great book (also made into a movie) is The Celestine Prophecy, by James Redfield, and can give you a different way of looking at things. We usually see objects as third dimensional objects as only being hard, but you can begin to see the softness that is there as well. As promised! While writing the Children Seeing Sparkles articles I realized that I cannot be the only answer out there! I know there are plenty of learned colleagues who are working full time on these unusual occurrences. 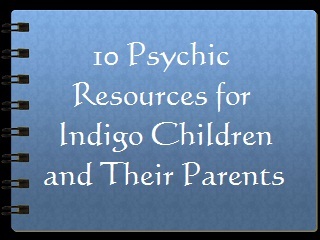 These resources may not mention Sparkles, per say, but they all lead to the same information: children who are exhibiting paranormal experiences. I have put together a pretty impressive list of some of the people, books and such that I have had some kind of contact with. Or I feel very intuitively that are great sources for you to read and research. This includes things that your children have been experiencing and gives you a better idea of the reasons behind them. Information is powerful, and the more you search this information, the more you will understand. The more you understand, the better equipped you are to assist your child. 3. BOOK: Kids Who See Ghosts. — Kids Who See Ghosts takes an up-close and personal look at ghosts, kids who see them, and the parents who want to help. The purpose of this book is to bridge the gap between the mainstream minds and the psychic minds, providing answers and guidance….” – From the Preface http://www.kidswhoseeghosts.com Facebook Page: https://www.facebook.com/KidsWhoSeeGhosts — Gobs of great info on a regular basis! * Use breathing techniques to stay centered, calm, and optimisitic. * Create rituals so children can feel solid and bring forth their intuitive intelligence. If you have any other resources you have come across that have helped you or your child, please leave them in the comment section below. Others can benefit from your experiences!